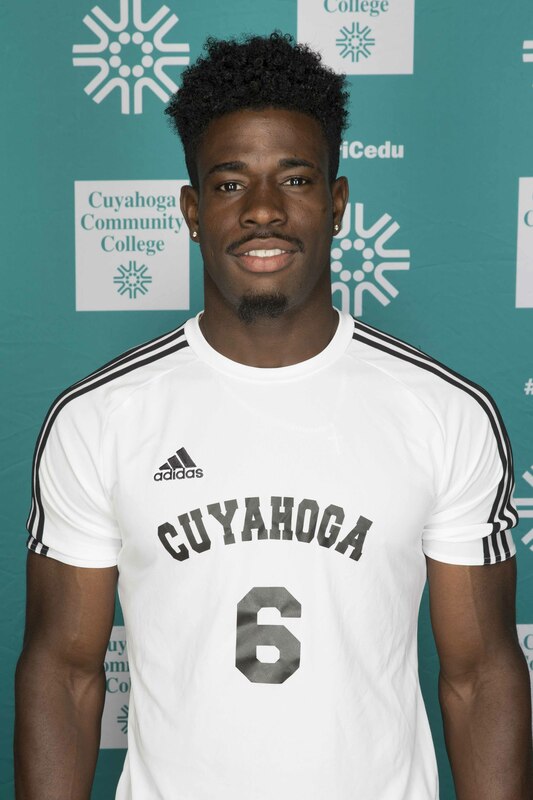 Soccer player Rushoy Brown has been named a 2018 Arthur Ashe Jr. Sports Scholar for his outstanding performance in the classroom and on the playing field at Cuyahoga Community College (Tri-C®). The award — sponsored by the publication Diverse: Issues in Higher Education — honors undergraduate student-athletes who excelled on campus. Brown graduated from Tri-C in December with an Associate of Applied Science in Criminal Justice. He is continuing his education at Cleveland State University, where he is pursuing a bachelor’s degree in criminal justice. He played soccer for two seasons at Tri-C, earning NCJAA Division I All-American honors in 2017 after scoring five goals and tallying two assists while playing defender for the Challengers. Brown also received All-Academic recognition from the Ohio Community College Athletic Conference after the fall soccer season. He compiled a perfect 4.0 GPA during his final semester at the College. A native of Jamaica, Brown now lives in Parma. The sports scholar awards from Diverse: Issues in Higher Education are inspired by tennis legend Arthur Ashe Jr.’s commitment to education and his love of athletic competition.